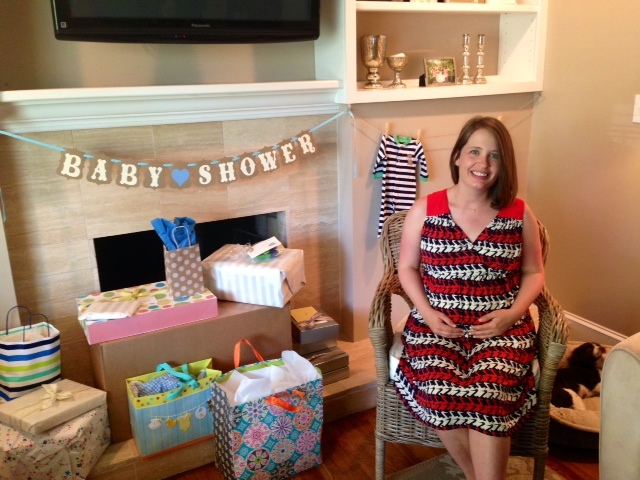 A Baby Shower for Bridget. 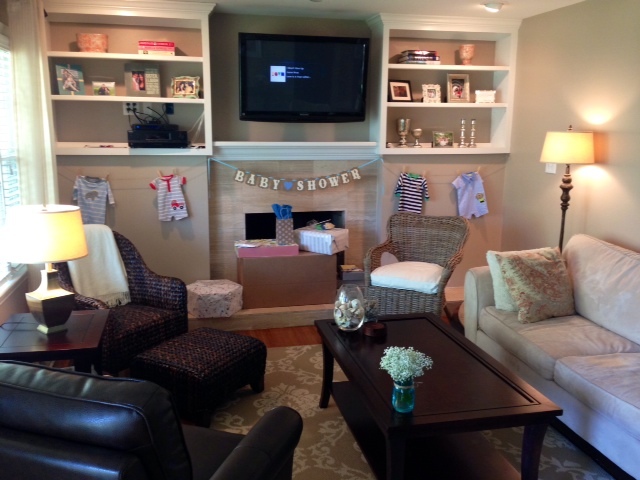 My friend Brittany and I threw a baby shower at my house a couple weeks back for our friend Bridget. 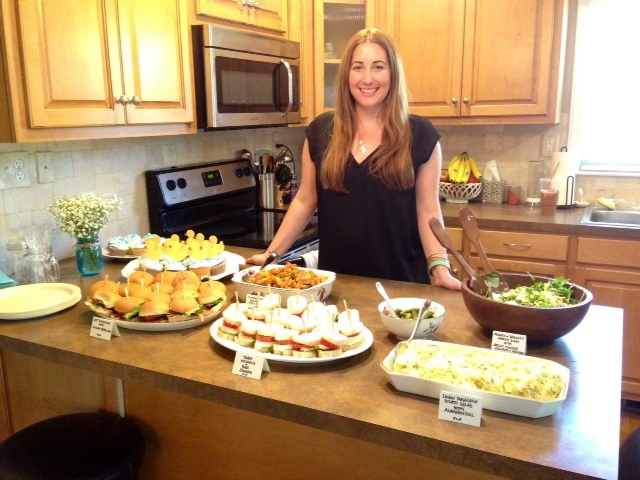 I’ve never hosted a baby shower before but I love planning parties and decorating, so it was really fun to get creative with Brittany (who is a baby shower expert) on ideas for the decorations and the menu. It couldn’t have been a more perfect day for a baby shower – we were lucky enough to have beautiful weather with temperatures reaching the 80s. 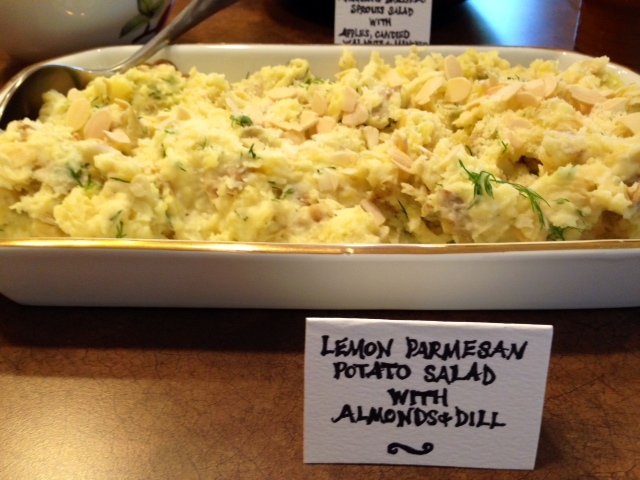 It was such a great day filled with friends, food and sunshine! We wanted to go for a shabby-chic theme for the decorations. 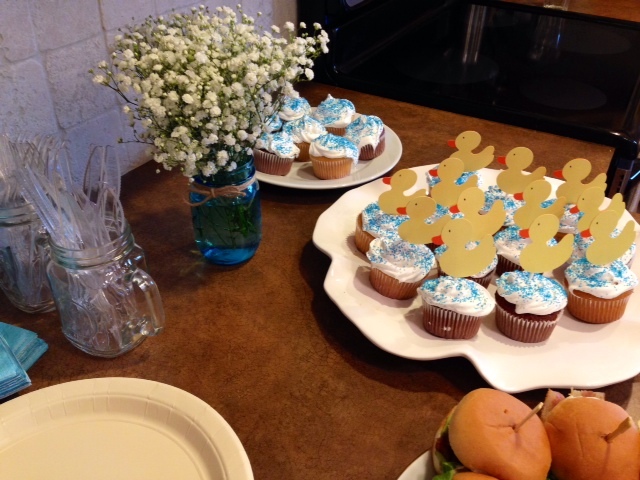 For the flowers, I got blue Ball jars (she’s having a boy!) from the hardware store and tied a bow around the top with twine. This created a super adorable vase at a super affordable price. 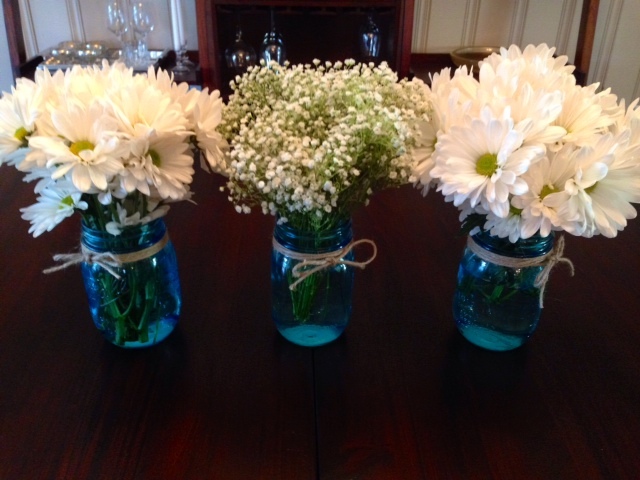 We did two kinds of white flowers to keep it simple. For the other ideas and decorations, Etsy and Pinterest were my go to spots for ideas. 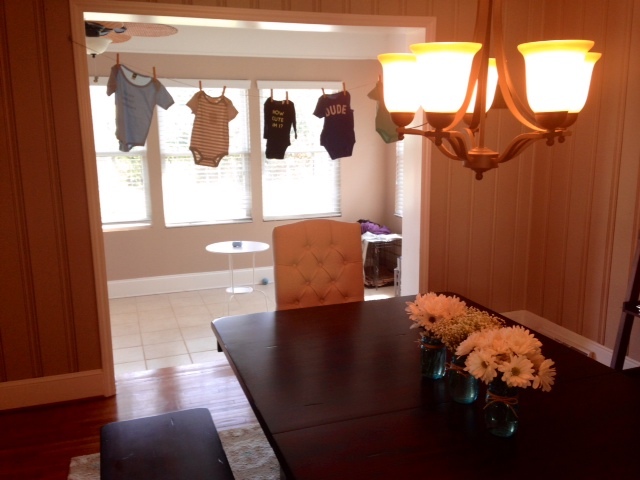 The baby shower banner was simple and sweet (found here). 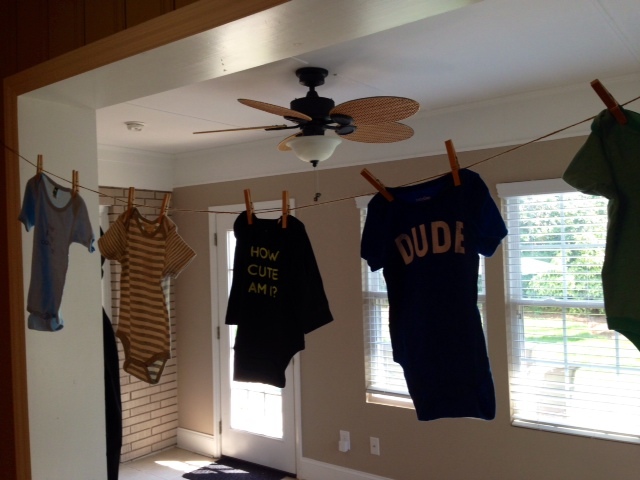 We also hung twine and used clothes pins to hang onesies around the house for another fun touch that also doubled as a gift for Bridget. 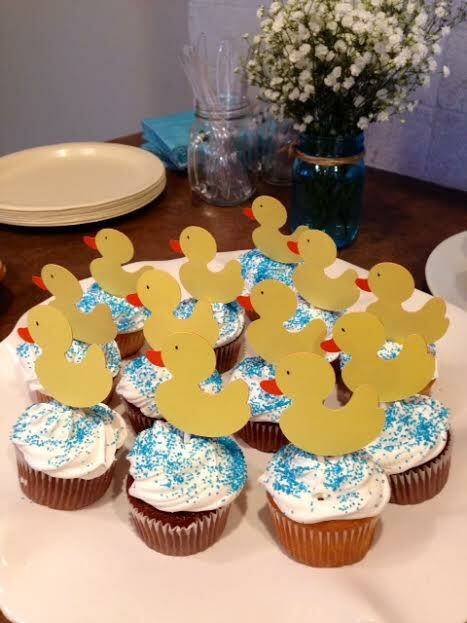 For the cupcakes, we topped them off rubber ducky toppers (found here). This was my favorite part of the shower, of course. 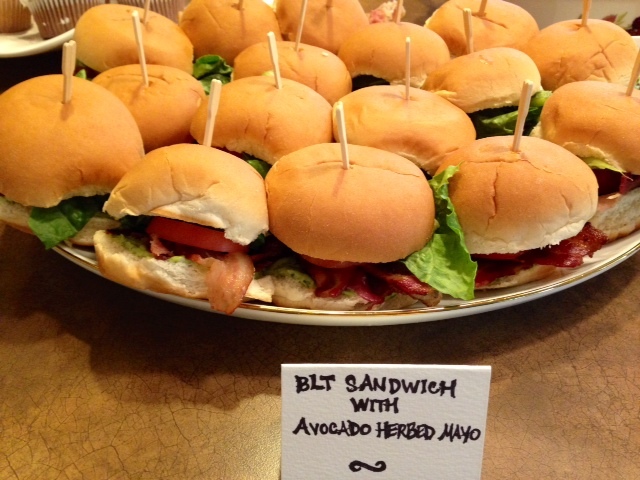 I wanted to make food that was easy to eat and could be eaten at room temperature so I didn’t have to worry about keeping it hot, so I made different types of salads and sandwiches. 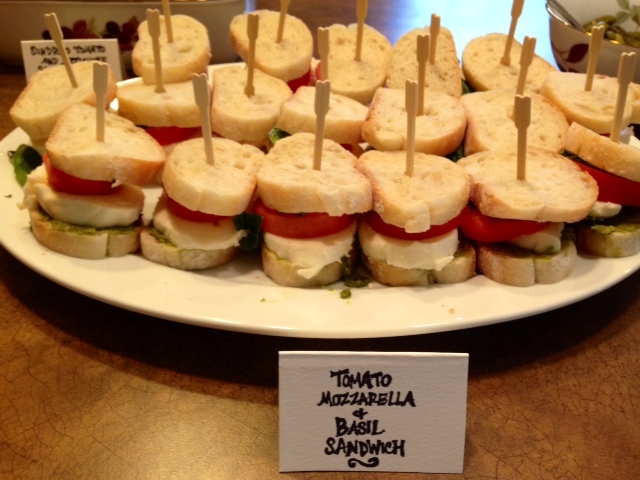 I made two different kinds of mini “slider” sandwiches that were delicious and adorable – a BLT with avocado herbed mayo on slider buns and tomato, mozzarella and basil on french bread. 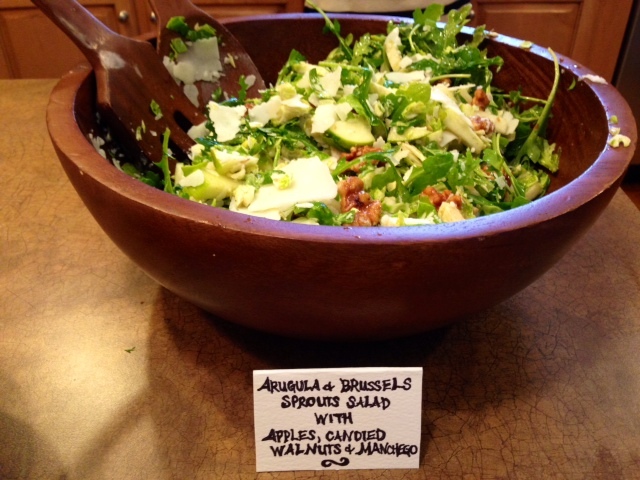 I also made a sun-dried tomato and artichoke pasta salad, a Brussels sprouts and arugula salad and a lemon potato salad. 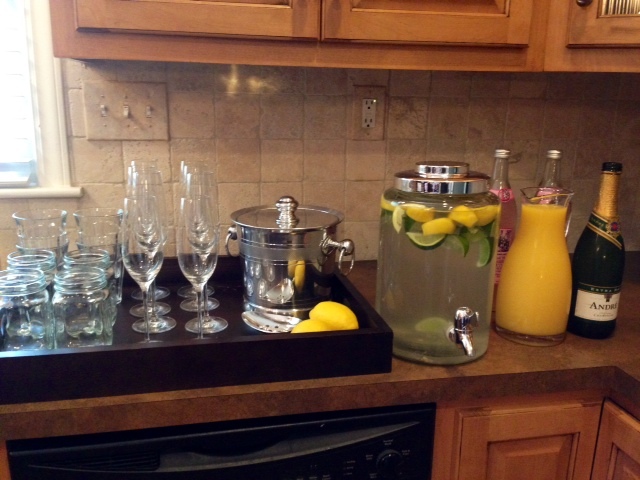 We also had a drink station with citrus infused water and mimosas which were perfect to keep us cool in the hot weather. 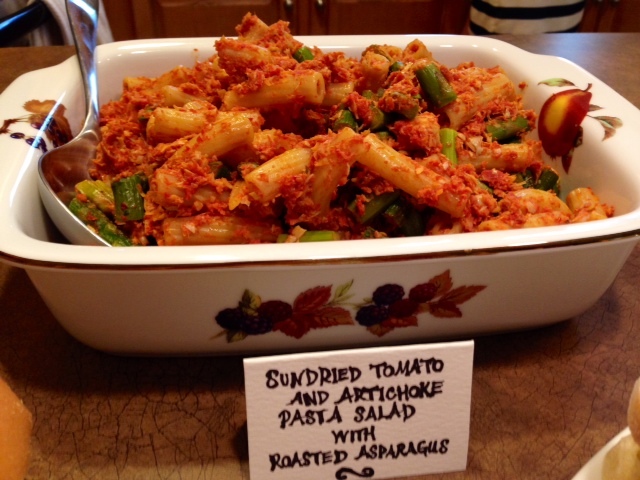 Stay tuned… the recipes will be up on the blog soon!